Enzymes are versatile oxidants in Nature that catalyze a range of reactions very efficiently. Experimental studies on the mechanism of enzymes are sometimes difficult due to the short lifetime of catalytic cycle intermediates. Theoretical modeling can assist and guide experiment and elucidate mechanisms for fast reaction pathways. 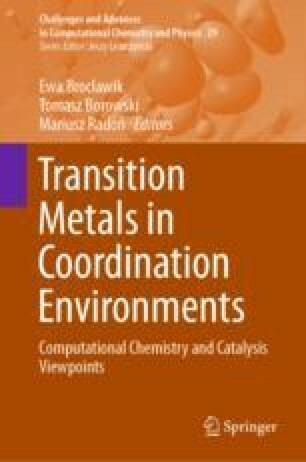 Two key computational approaches are in the literature, namely quantum mechanics/molecular mechanics (QM/MM) on complete enzyme structures and QM cluster models on active site structures only. These two approaches are reviewed here. We give examples where the QM cluster approach worked well and, for instance, enabled the bioengineering of an enzyme to change its functionality. In addition, several examples are given, where QM cluster models were insufficient and full QM/MM structures were needed to establish regio-, chemo-, and stereoselectivities. This work is partially supported as part of an EPSRC low carbon fuels grant (EP/N009533/1).